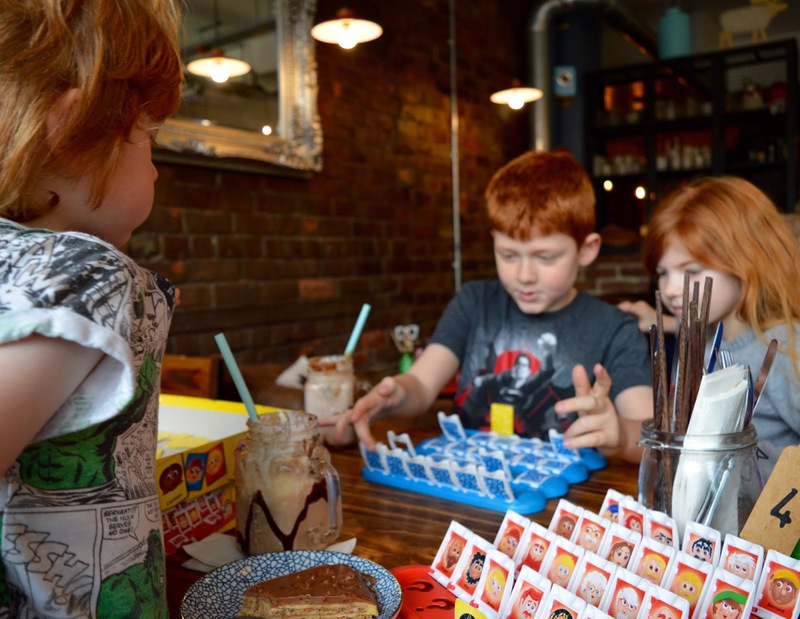 We visit Tyne Theatre & Opera House quite a bit but I always run into the same problem - where to visit with the kids beforehand for a quick drink or bite to eat. I am not a fan of the usual Chinese restaurants on Stowell Street and trying to negotiate a hot all-you-can-eat buffet whilst supervising three kids is not exactly my idea of fun. So when Meet & Treat invited us along before this week's performance of 'So you think about Dinosaurs' at Tyne Theatre & Opera House this half term, I had my fingers and toes crossed they would be the answer to my dilemma. 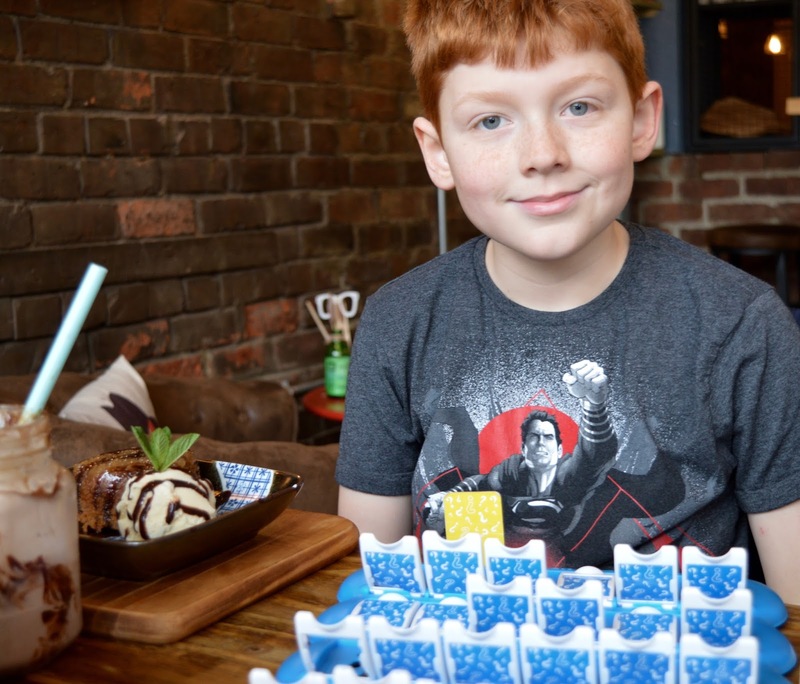 You will find Meet & Treat on Bath Lane, wedged between the Fujiyama and Hana Hana and just a stone's throw away from the Tyne Theatre. They are open from 11am - 9pm and children are welcome at all times. Their menu is fairly eclectic featuring everything from Eggs Benedict to Mexican Chicken Burrito and their signature Asian small plates, soup and noodle dishes. 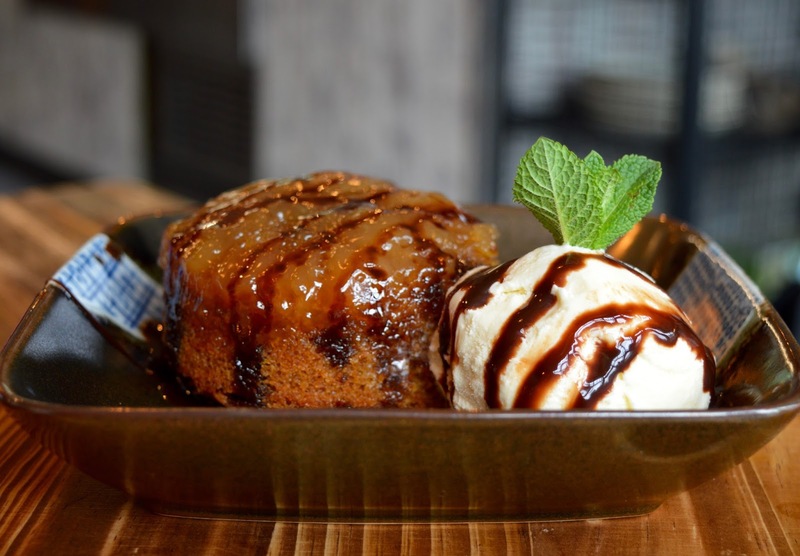 Check out this post from Raspberry Kitsch if you'd like to get a feel for some of the stunning Asian food they serve up. 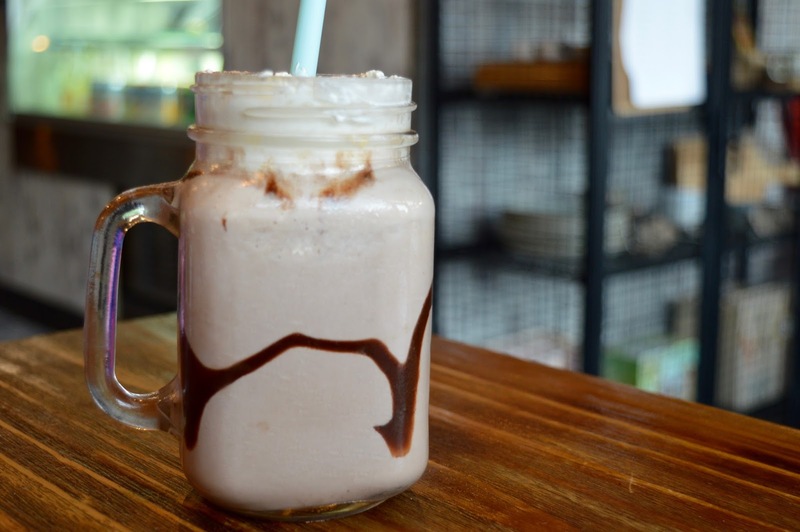 They also serve an impressive range of hot drinks, shakes, smoothies and cakes which are what we had in mind for our visit. 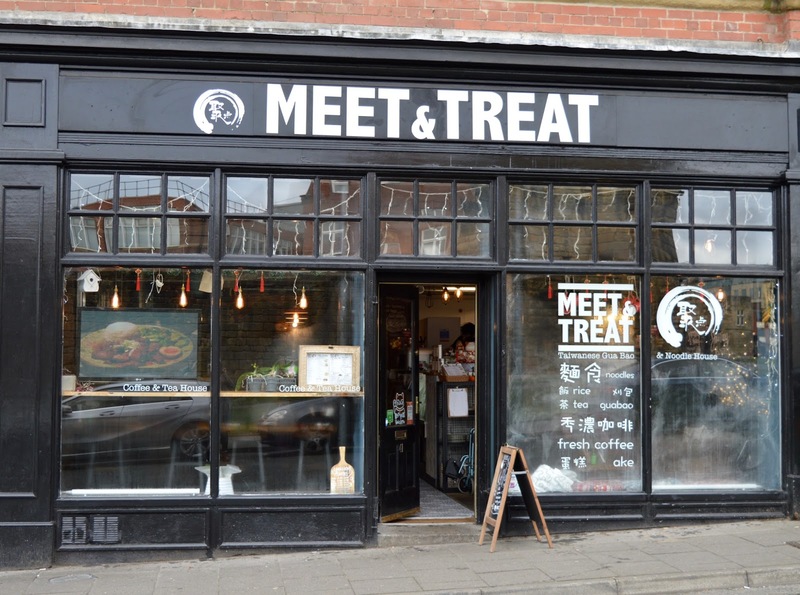 The first thing I will say about Meet & Treat is just how welcoming it is and fully inclusive to everyone. It truly is a cafe for young and old. They have highchairs for little babies, room for pushchairs and the staff helped an elderly couple in with their wheelchair and offered to store it by the counter rather than outside. Lovely. 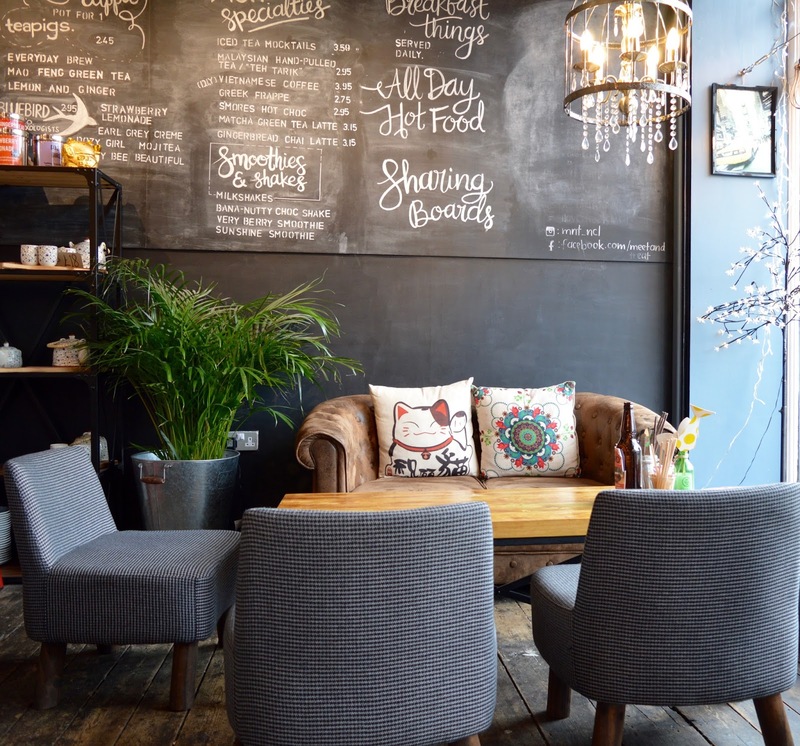 There's a variety of seating to choose from including comfortable armchairs and sofas, bright tables by the window or cosy tables nearer the back. 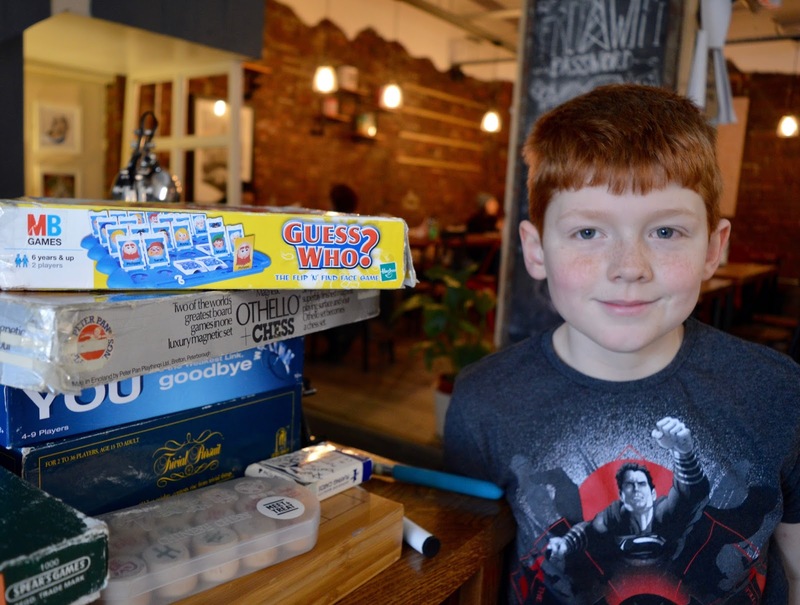 We were chuffed to find a stack of board games, books and even craft materials for us to help ourselves to. SUCH a good idea! I can see us sitting here as a family for a few hours on a rainy Sunday afternoon over lunch and a game of scrabble. The kids immediatly spotted Guess Who and set up a tournament as I ordered coffee and browsed the cake counter. 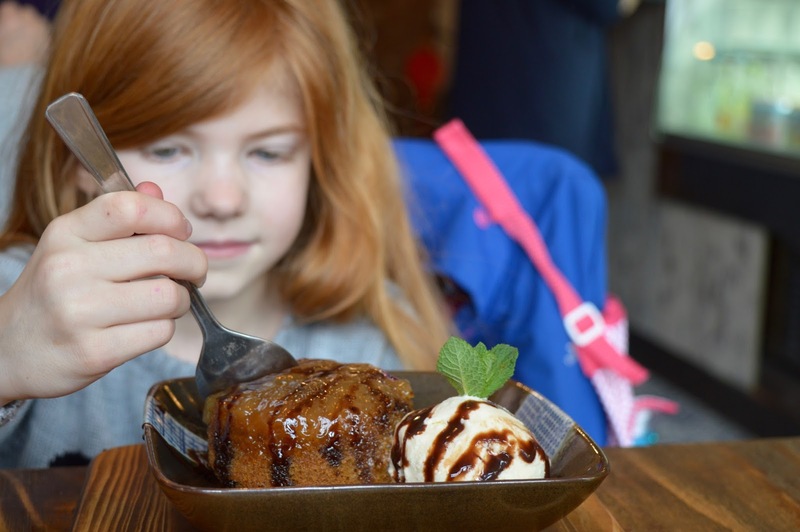 Heidi and Harry both ordered their favourite Sticky Toffee Pudding which was an epic portion and a bargain at £4.50. If your kids like sweet treats, there are also a selection of American style waffles to choose from. 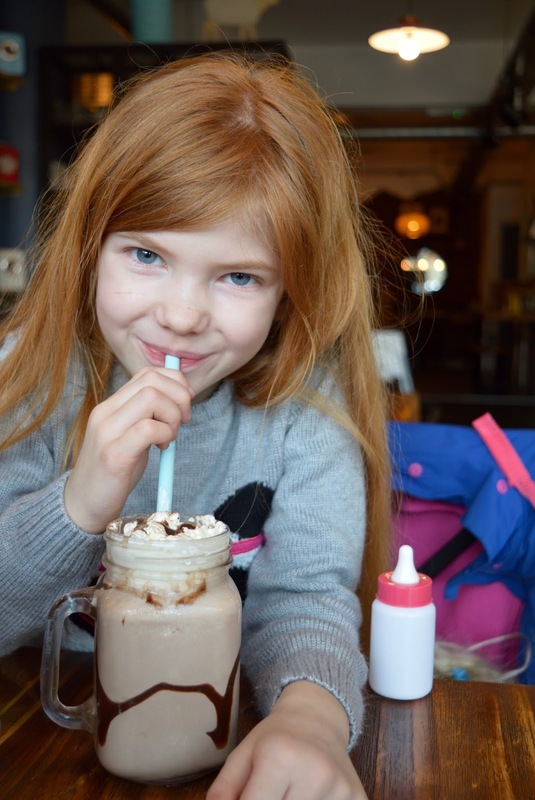 They thoroughly enjoyed their chocolate milkshakes too and at £3.50 they are very reasonably priced. 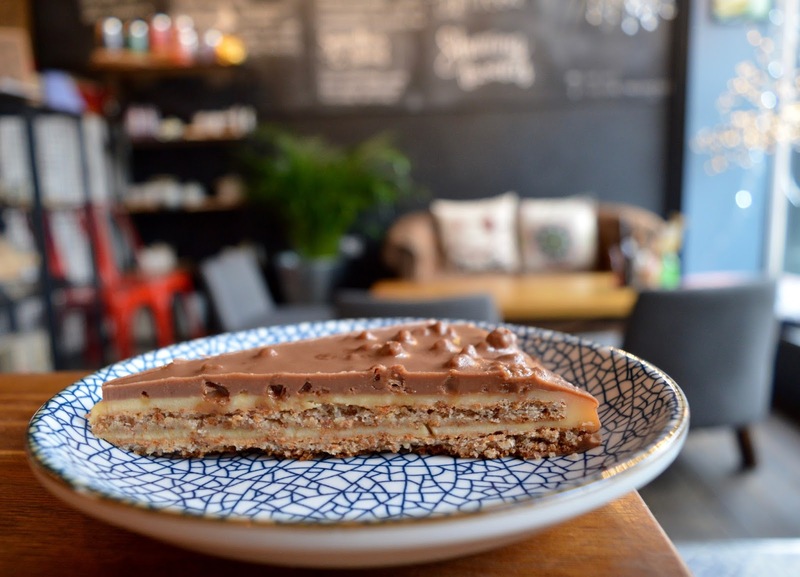 Jack selected a Daim bar cake from the counter. I am pretty sure the desserts and cakes are bought into Meet & Treat and not homemade but my three don't care about this and are only interested in if their cakes taste good - I am pleased to say they all thoroughly enjoyed their treats with their shakes and Daim bar cake proving especially popular. Meet and Treat is an Instagrammers paradise! From the perfect lighting to the beautiful tiled floor, branded mugs, chalkboard signs and even a few props on your table too. 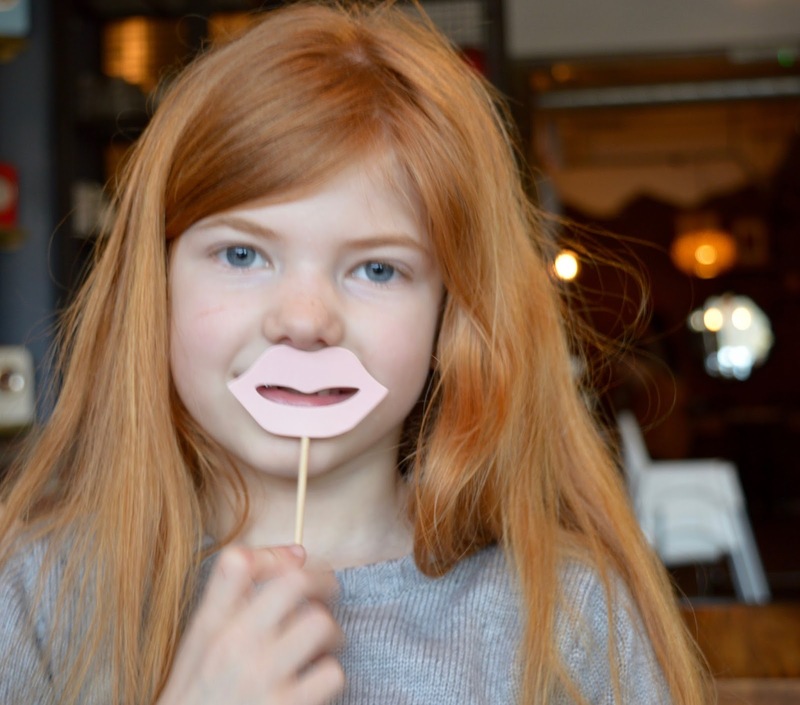 If your kids/teens love taking photos, they'll thank you for taking them to Meet & Treat. So with the kids happy eating their cake, drinking their shakes and playing Guess Who, I was left to actually enjoy a coffee and a slice of Oreo cheesecake in peace. Seriously with the kids entertained I could have brought along a magazine and enjoyed a bit of proper 'me time' - something I am really not used to in the school holidays. 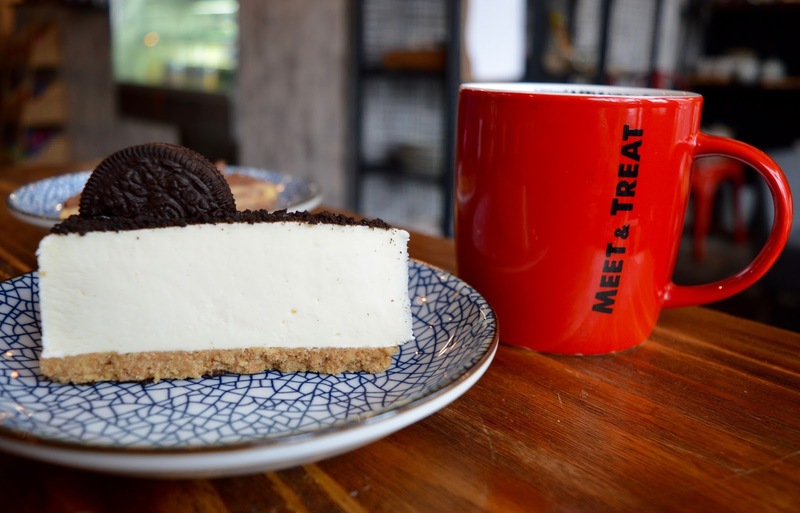 The coffee at Meet & Treat is decent too - there's an extensive menu featuring everything from Espresso to Macchiato. There's a long list of iced teas and coffees too and even a Greek Frappe on the menu. 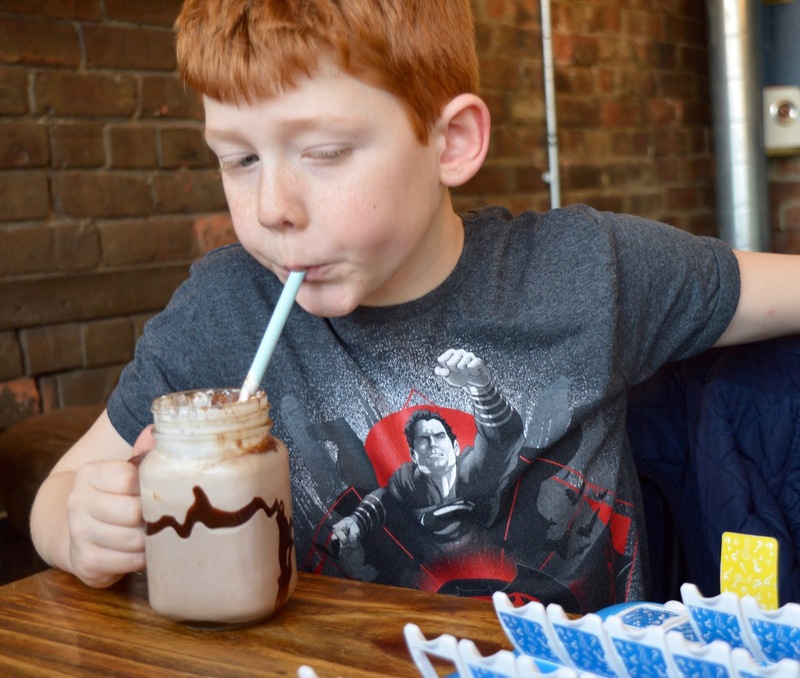 I have my eye on their S'mores Hot Chocolate next time. We adored our visit to Meet & Treat and it is now going to be our new go-to place for pre/post theatre treats/drinks/food. 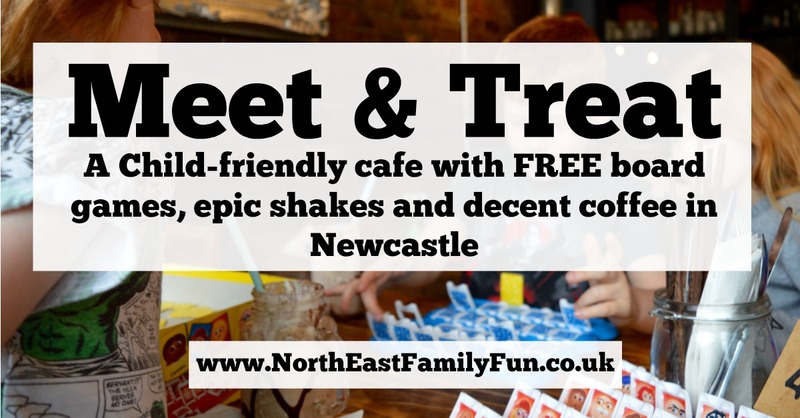 If you're looking for a child-friendly cafe to catch up with family or friends in Newcastle or meet before a trip to the Tyne Theatre, I can certainly recommend a trip. I've only ever been in for a croissant but I've seen so many delicious looking photos on Instagram recently I need to return! 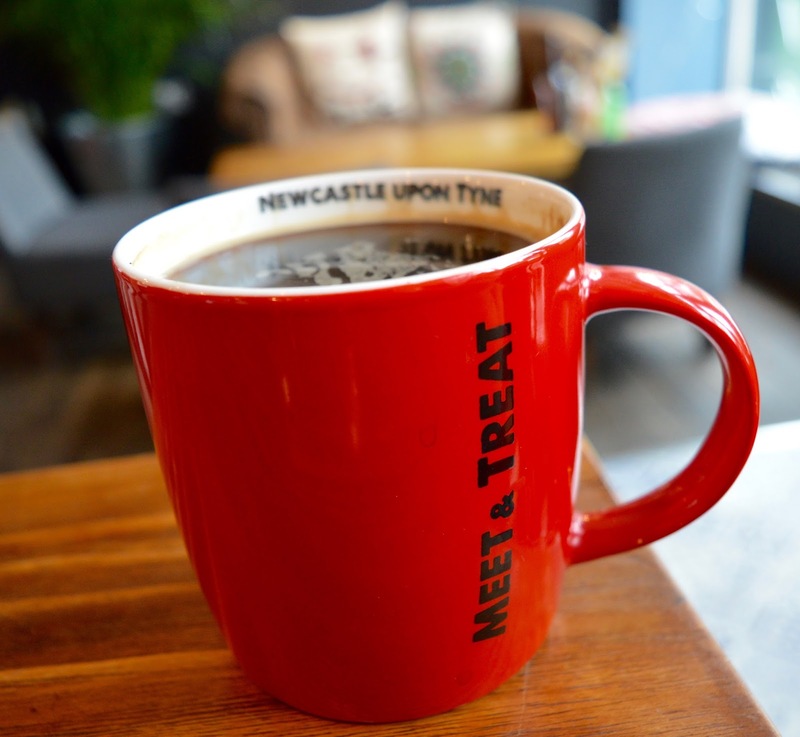 Next time we visit Tyne Theatre we are definitely going to head to Meet and Treat for a catch up! It looks great there. I've heard about it but not tried it out yet - I will now. It looks so nice. Nothing better than somewhere that provides some activities for children!